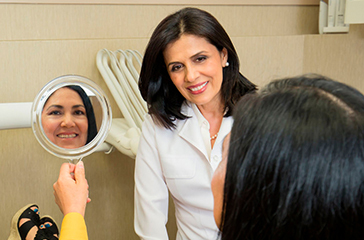 Dr. Alidadi uses Invisalign® to give you beautiful, straight teeth. Do you or your teenager have a crooked smile? With Invisalign, Dr. Feryal Alidadi can straighten your teeth and enhance your smile affordably. Invisalign uses clear aligners that are custom-made for you. Best of all, they are almost undetectable. 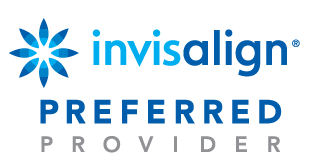 Dr. Alidadi is a Preferred Provider for Invisalign, the clear alternative to braces. She also has over two decades of caring and professional dental experience that she brings to each patient who comes to see her. Free teeth whitening kit with Invisalign treatment! Invisalign uses clear plastic aligners to gradually move your teeth into the correct position. Unlike conventional metal braces, Invisalign® uses high-grade clear plastic trays, called aligners, which fit comfortably over your teeth. The aligners, which are virtually invisible, are designed to move the teeth gradually into their desired position. You change the aligners every two weeks. Taking care of your aligners is easy. You just take them out when you want to eat or brush and floss your teeth. You’ll visit Dr. Alidadi every six weeks for a checkup to monitor your progress. Treatment typically takes a year for an adult and one and a half to two years for a teen, which is the same as with traditional braces. However, since the aligners are clear, you’ll see improvements in your smile long before your treatment is complete. The Invisalign system is an alternative to braces for people with full adult dentition and complete jaw growth, and is effective on a wide range of patients. 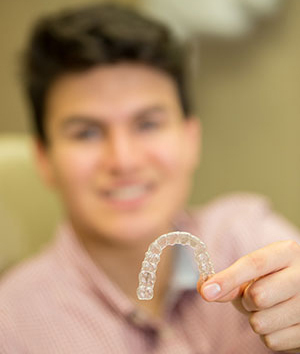 Both teenagers and adults can straighten their teeth with Invisalign. There are a lot of advantages to using Invisalign, when compared to conventional braces.